We finally won a game! Prior to this we had “all been winners because we were having fun” but tonight we actually won. Neener neener! I scored our team’s first goal of the game, early in the 1st period. It was a nice goal, too, I’m told. I didn’t actually see myself score; I skated up, shot on Claire, then kept skating through with my momentum and only learned I’d scored from the ref hand signals and team cheering. 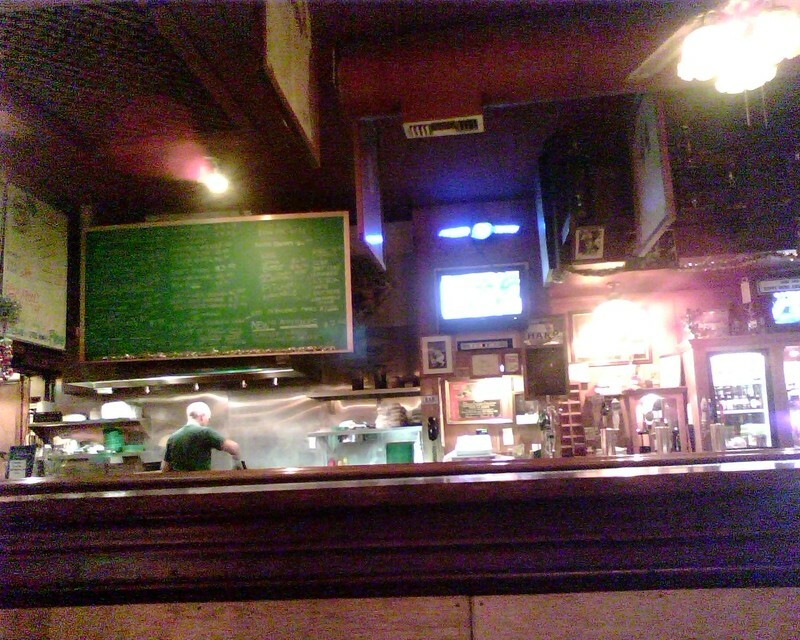 After the game, Peter and I went to Ausiello’s Tavern with the other team’s coach, Shella, and her girlfriend Gigi. Lisa from No Clue was also there. It was so much fun; Shella and Gigi are hilarious! I don’t think I stopped laughing the whole time. Sorry I had to miss it, but this means we’ll just have to do it again next week so that I can see what a team win on the scoresheet feels like.